Qsl from ZL7E Chatham Island. from Oceania I think. 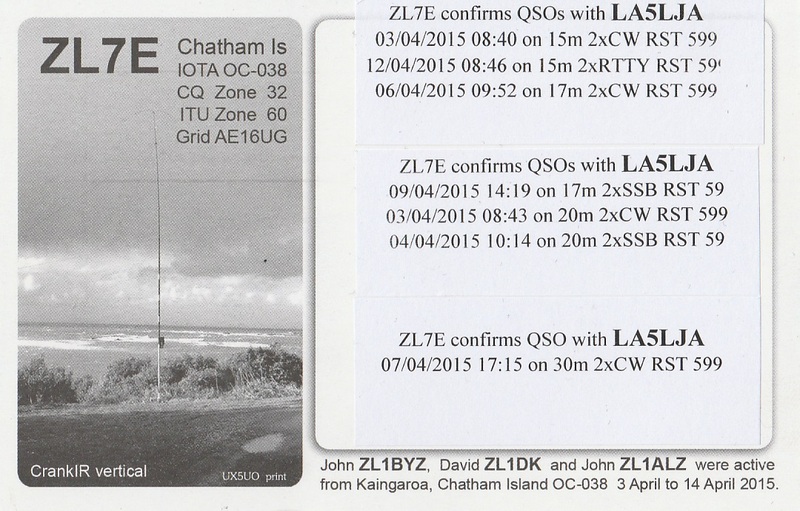 They was on 24/7 and tnx New one on rtty. 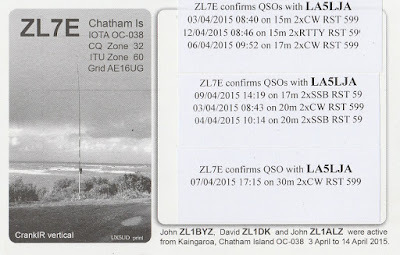 Hope to hear this dx-team again from another spot. 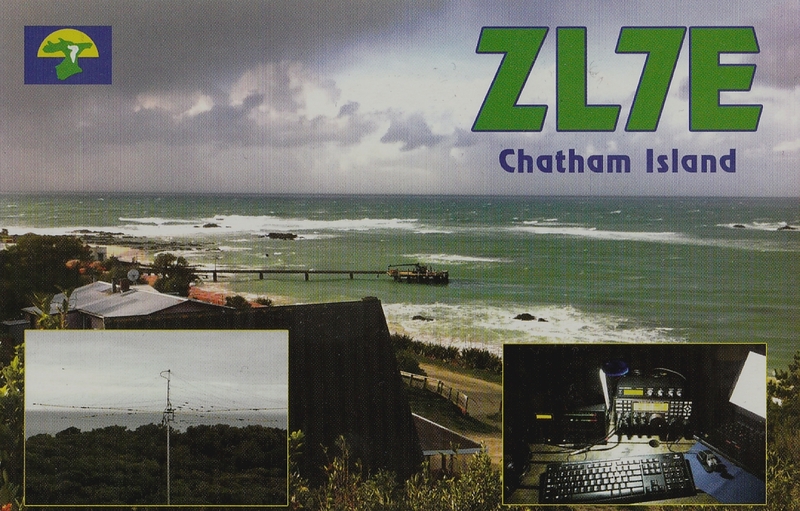 XT2AW Harald on rtty mode 17 mtr ,tnx #235 on rtty. He was working simplex and the pile-up was growing.